SM is at it again! Ascend to the highest point of high fashion for a shopping experience you will never forget at the GREAT NORTHERN SALE! 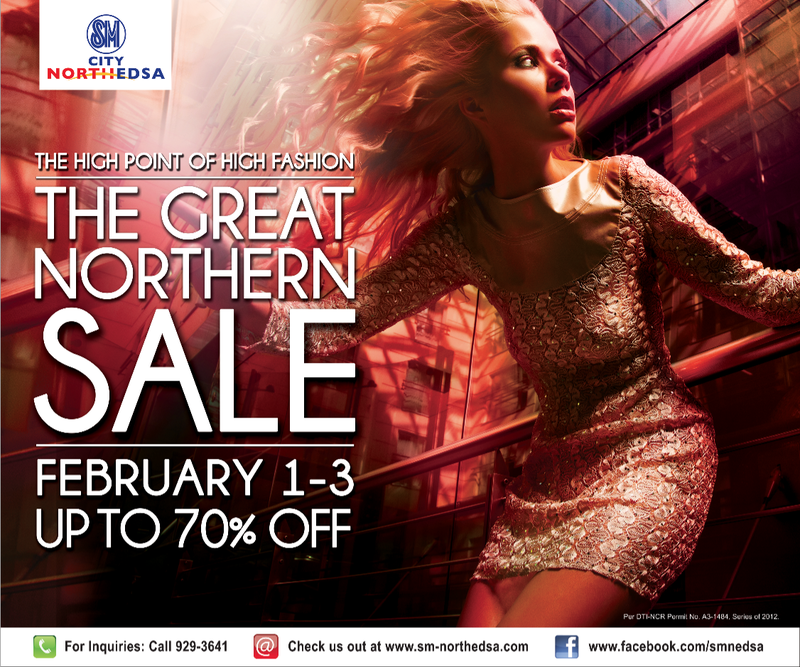 The sale will take place from February 1 to February 3, 2013 at SM City North Edsa, where you can get up to 70% off on selected brands! If you've been eyeing certain things at the mall lately and have been thinking about gong back for them soon, just hold on a little while longer coz this is the sale you should be waiting for!